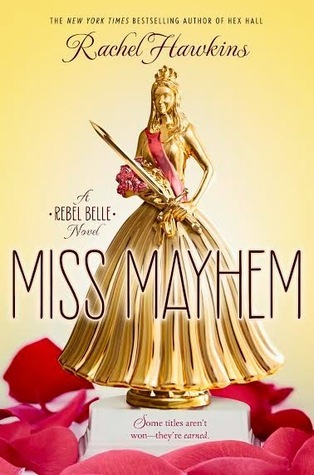 If you haven't read Rebel Belle yet, you may want to do that before you read this review. Harper Price's life has been turned completely upside down but she's finally got a handle on it. 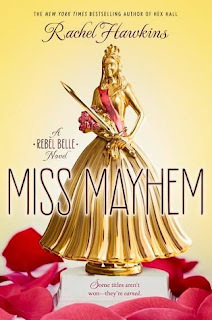 She and ex-boyfriend new-Mage Ryan have teamed up to protect new-boyfriend Oracle David and keep his powers in check. There don't seem to be any threats on his life anymore and Harper can breathe a little easier. Until, of course, things change. The Ephors (or Powers-That-Be) have decided that instead of try to kill David, they should train him instead. But before they can train him, Harper has to go through a final test to be a true Paladin. A test that will either make her stronger than ever or kill her. On top of it all she's decided to be in the Miss Pine Grove pageant. I loved this so much. Fun and quick to read. It was just as good as the first one. I truly don't know how I missed this series when it first came out, but I will blame the children. The end is a bit of a cliffhanger which is unfortunate for people who didn't get the ARC mailed to them to review. Luckily, I did.